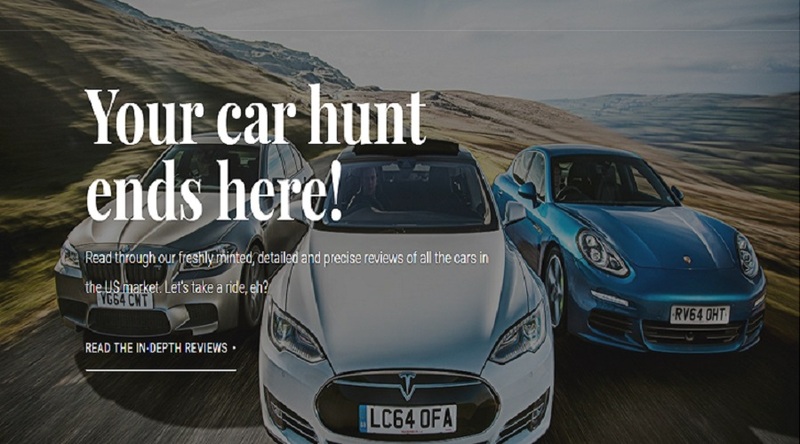 CARHP functions as an online autos information site that brings together in-depth reviews, ratings, comparisons and local listings for new and old cars. CarHP will cater to the US automobile market. Still in its beta stage, www.carhp.com has an inventory that boasts a collection of over 2000 car reviews from 2016 to present. CARHP is funded and incubated by Collegedunia.com – India’s foremost college search portal. With a team size of more than 20 people. CARHP is driven by young car enthusiasts with expertise in domains like – data analysis, market research, content writing and marketing. The team brings together talent which has a wealth of experience about the online automobile market. The number of buyers who find their vehicle through online websites has been on a rise and demand for such websites that provide the complete information for the car buying journey is staggeringly low. Most of the websites manage to excel in only a single front. Either they are content-centric or they provide car specifications that by themselves don’t simplify the car buying process. These websites fail to provide a one-stop solution to the buyers. CARHP stands out as a different website. Instead of relying only on a single parameter, be it content, car specifications or inventory at the Local dealer. CarHP strives to bring content and inventory together with a special emphasis on data. Instead of relying just on content for a major car buying decision. In-depth car reviews published by CARHP use a data-driven approach to inform the users about their prospective buy. The car that is being reviewed is stacked against four closely matched competitors. In-depth tables which list out specifications are used along with reviews that accurately pit the car against the competition. As accurately put by this post from Content Marketing Institute, Automotive purchase funnel is lengthy, complex, and unpredictable. Every automobile sale is subject to personal preferences. This include style, performance, cost, safety ratings and much more. CARHP’s content strives to review cars in a way which would help individual buyer to find the car that suits them, best. CARHP will reserve special space and attention for vehicles that are environment friendly. All vehicles that use renewable energy sources. These vehicles significantly reduce the carbon footprint and ease the demand on consumption of fossil fuels as primary energy source. According to post from fueleconomy.gov, all-electric vehicles (EVs) convert about 59%–62% of the electrical energy from the grid to power at the wheels which is better than the conventional of chemical energy from gasoline to power the wheels. At CarHP we advocate for usage of such vehicles in a extensive manner.